You might feel like you need more support with planning, goal setting, and stress management. However, you might not think that what is going on necessitates seeing a therapist. If this is the case, what you are looking for is a qualified life coach. Personal life coaches, like myself, work one-on-one with clients in order to help them with personal growth and development. I have worked with many people who are looking for guidance on how to make plans for their personal lives and reduce stress as they are doing it. Sometimes this work begins with helping people figure out what part of their personal life needs addressing. Some clients come in with a specific issue like moving, beginning a new job, or ending a relationship. Other clients are looking for work that is focused on finding a spiritual or self-help path. As a life coach I help the people I work with identify the issue, set a clear goal for how to address it, and create small steps toward mending the problem. Additionally I teach clients about stress reduction techniques like deep breathing, meditation, and self-care. Whatever you want help with, it is better addressed in a relaxed state of mind! As your life coach I meet with one-on-one every week in order to help you life a happier and more fulfilling life. During the first one or two sessions we spend some time talking about the issue that brings you into life coaching. You might tell me about something particular that is going on or we might spend some time figuring out what exactly it is you’re looking for from coaching. Once we know what the issue is we create a long-term goal. This is an overarching goal that will probably take a lot of small incremental work in order to achieve. Then we spend our subsequent sessions creating smaller steps that eventually will get you to that big end goal. Every week we have an accountability check in to see how you did over the week with whatever it is you were supposed to be working on. How long it takes to achieve your long-term goal depends on the goal, your willingness to do the work, and life circumstances. Some people need only a few sessions while others require years of work in order to get what they are hoping for. When you have achieved your long-term goal we can chose to end our work or pick a new long-term goal to work toward. Life coaching differs from therapy or counseling in some key ways. One of the biggest differences is that therapists often work with people who have clinical issues like depression, anxiety, trauma or other disorders. On the other hand, life coaches work with anyone who is hoping to develop their potential. Another difference is that in order to be a therapist someone needs a specific license or educational background. Life coaches need listening and people skills but they do not need a license. Life coaches are different than therapists because they do not focus on personal history or diagnosis. Instead, life coaches are solution-focused and help people move forward with a problem rather than figuring our where that problem came from. Many people chose to see a life coach remotely rather than in person because it is convenient and affordable. 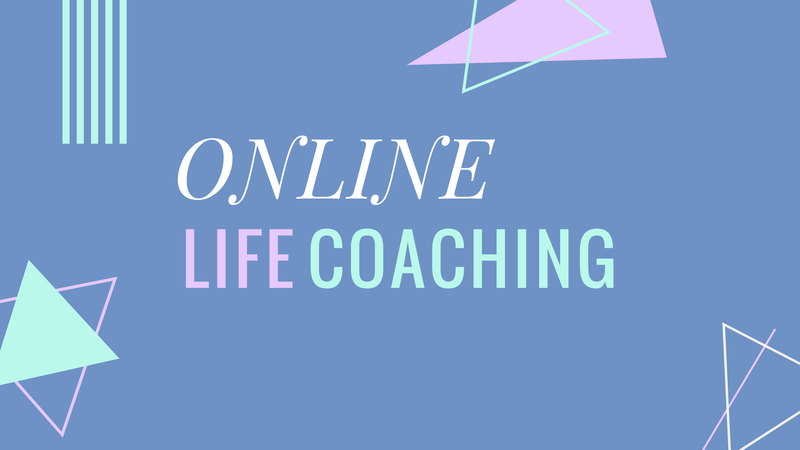 As a life coach, I enjoy working with clients online because it allows me the opportunity to work with people all over the country. When I work with people remotely the sessions take place over the phone or via a secure video chat software to insure your privacy and comfort. Life coaching is not the same as psychotherapy and is not a substitute for psychotherapy, mental health treatment, or medical treatment. Although I am a mental health professional, life coaching is not under purview of my license. Therefore I am not using my credentials as an associate marriage and family therapist when providing life coaching services.